Women makes world a better place. 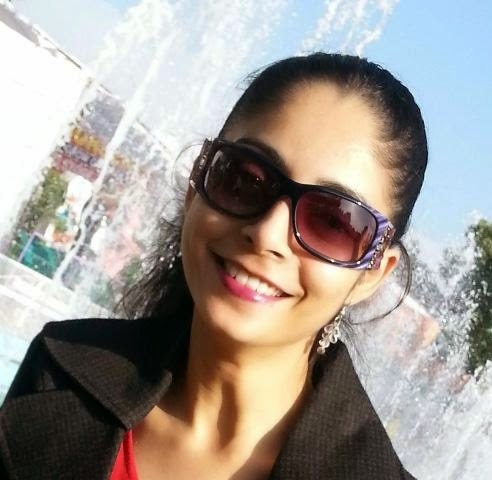 Today I am going to introduce you with one more power blogger Priya Sharma . Interviews are the great way to know person, her struggle, life journey and achievements. It make all of us strong and also give inspiration to create our own world of happiness. This is the 18th edition of powerful, successful and inspirational interviews in the series of Journey of a Professional Blogger, interviews on EASKME.com. Q. Welcome on eAskme (eAskme.com) and introduce yourself. Ans: Hi! I’m Priya Sharma. I’m a writer and am busy reviewing books these days, so you can also call me a book reviewer. I created my first review blog in 2013 (Passionate Book Reviews). The blog was launched mostly to share my thoughts with like-minded people. I didn’t know if it will survive this long or that I will start another blog (Romanceaholic Anonymous) to review only romance novels. Back then I didn’t know if there’s any demand for book review blogs, since I jumped first in the field and did the research later. Maybe should have done research first. When the authors started contacting me to review their books, only then I realized that there’s a demand. I believe it all worked out fine even without doing any research in the beginning. As I started my blog mostly because it was exciting to write and publish what I’m passionate about---books. Q. How the idea to make your own blog came in your mind? How you found the right people to develop it and what big obstacles you faced? Ans: The idea to have a blog initially got into my mind sometime in 2010-2011. I wish I remembered the exact date. I had a blog with BlogSpot that I deleted and there’s WordPress blog that I almost forgot about till last year. I’m trying to revive it. I have launched all my blogs alone. The thought to find co-create never entered my mind. I don’t know why. The big obstacles I faced? I don’t like talking much or even socializing. It’s easier to chat with people online yet initially I found it difficult. I still do sometimes. I met some really nice people on Google Plus and Twitter, who made it easy for me to start interacting online. Initially, I only chatted with that small group and started expanding my network only after a while. Q. Tell a little more about your blog/site and your story to enter into blogging. Ans: Both my blogs (Passionate Book Reviews and Romanceaholic Anonymous) are book review blogs. I love to publish reviews of all the books I read and sometimes quotes that I find in some books. As I have mentioned above, I have been trying to get into blogging since 2010. But it wasn’t working and I kept wondering why. I found the answer to ‘why’ in 2013. When I launched my first book review blog and managed to make it live along with a review post within one hour. The most important ingredient missing from my previous attempts was: passion for the subject I wanted to write about. Q. Can blogging really change someone`s life? Ans: Yes. I believe it can change an individual’s life in two ways: good and bad. The bad side: The blogger/writer gets obsessed with blogging and forgets about his/her offline life, health and people who matter the most. Another one is it’s easy to become lazy, as you don’t have to answer to anyone. The good side: While blogging you learn the importance of disciplined work. There’s a chance to seriously learn new things like SEO, marketing etc. The desire to publish quality content pushes you improve your writing. You learn to interact with people from different backgrounds from across the world, bloggers and non-bloggers alike. And your blog can earn you money. Q. What are your favorite Internet marketing tools? Ans: There are so many of them! So far my favorite remains Google Plus, Twitter, Pinterest and Grabinbox (for scheduling) the most. Q. What is your daily schedule? And how do you maintain your tasks? Ans: I know I should have a schedule, but I don’t really I like it. I create a list of all tasks that needs to be done and I complete them, depending on their deadlines. Other tasks on the list I complete when I’m in a good mood. Q. Blogging have different definition for different person. What is it for you? Ans: Freedom to share my thoughts as it is, without having to wait for someone else to approve them or tell me what I should or shouldn't write. Q. Which are your favorite blogs? Q. How much time do you spend on social media promotion and SEO of your blog? Ans: I have not counted the hours I spend on social media promoting my blog posts. But I’m sure it’s not much. And the SEO, I never bothered with much before. Now it’s one of those things I’m learning. Q. How much time do you spend for blogging daily? Ans: Major part of my time I spend reading. For me it’s a part of blogging as I can’t publish new posts if I haven’t read a new book. Apart from that I write every day, but I don’t write review posts daily. When I do write a blog post, it takes a couple of hours at most, excluding editing. Q. Finally, I would love to have your message for my readers and any suggestions for newbies? It was a great interview with Priya Sharma. eAskme team wish her best of luck and bright future. Her journey as a blogger is an inspiration. If you think that it is impossible, think again. You have the ability to do anything and be what you want to be. So if you still waiting to start a blog, I must say you should start it right now. Don`t forget to share about Priya Sharma on your social profiles. If you want me to Publish your interview, feel free to contact me.